One Day Course on Life Saving First Aid Skills for Small Boat Users. The RYA First Aid course provides a working knowledge of life-saving and first aid skills for all persons who go afloat on inland waters or up to 60 nautical miles offshore. The syllabus is based on recommendations from the HSE and the MCA. The RYA First Aid course will give you the basic knowledge to deal with a medical emergency while at sea. 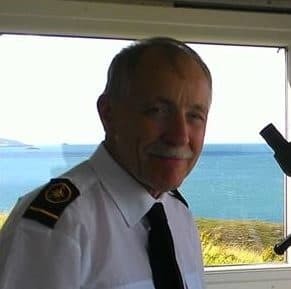 The course also covers how to call for medical assistance using a VHF Radio and how to prepare for a helicopter casualty evacuation (Medivac) from your vessel. The RYA First Aid course is a full day of 8 hours tuition. 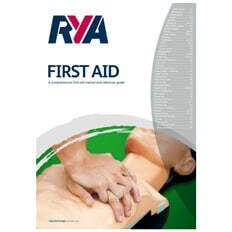 We will be posted out to you a RYA First Aid Book / eBook and course joining instructions. Knowing how to deal with a medical emergency at sea is very important as the emergency services may take some time to reach you, in fact, it can take up to 30 minutes for a Search and Rescue (SAR) helicopter to reach you during the day and considerably longer during the night. 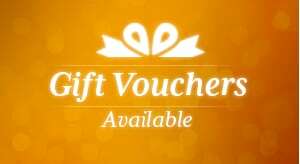 We deliver the RYA First Aid courses to a maximum of 8 persons (per course) at a time. We believe that you should receive the maximum hands-on practice time when it comes to CPR and life support skills. On successful completion of the RYA First Aid course, you will receive your RYA First Aid certificate, which is valid for 3 years. This fulfils the requirements for skippers of MCA Coded vessels up to category 2 including boatmasters and all RYA practical instructors. You can choose to have the RYA First Aid book as a hard copy or ebook, please choose the option on booking the RYA First Aid course.